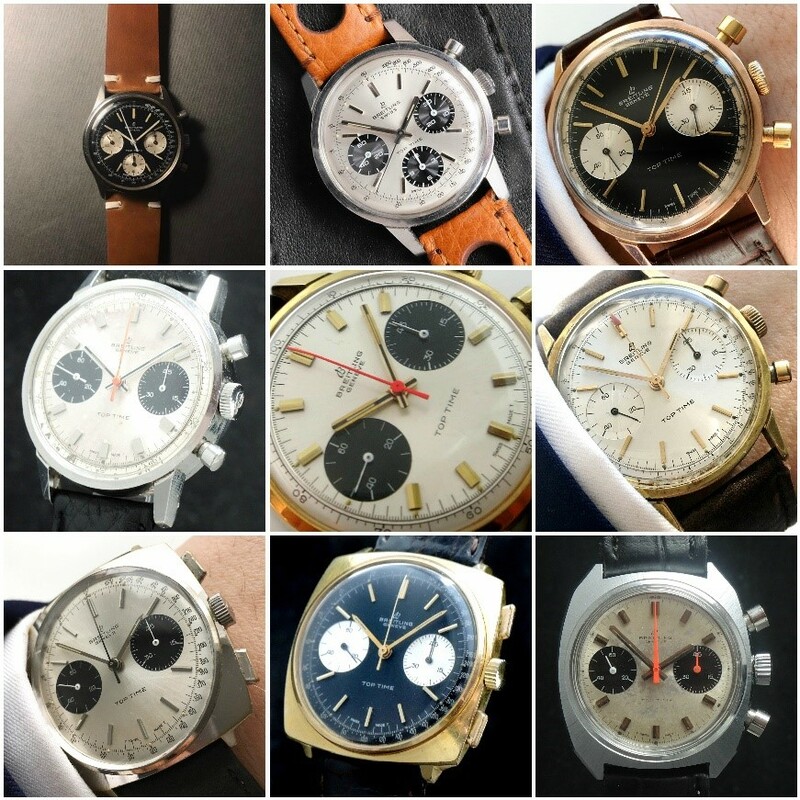 3 Vintage Chronographs Under €2.000! Let’s admit it. Chronographs are undeniably cool. Now, thanks to the incredible 2017 auction of Paul Newman’s 1968 Ref. 6239 Rolex Cosmograph Daytona, which sold for a whopping $17.8 million (after including the buyer’s premium of 12.5%), the vintage chronograph market is hotter than ever. The size of these watches frequently exceeds 38mm, rendering them the perfect size even by today’s standards. Historically, chronographs were designed and used as pure tool watches in racing and aeronautic applications and were larger than other watches of the period by necessity rather than by design. Here are three fantastic vintage chronographs that allow you to enjoy the best that vintage has to offer without breaking the bank! 007 has worn quite a few watches throughout his long and storied career, starting with the Ref. 6538 Submariner in Dr. No. to the transition to the Omega Aqua Terra 150m and Seamaster 300 he wears in the 2015 movie SPECTRE. In 1965’s Thunderball, Bond has a run-in with another Swiss giant: Breitling. While on his mission to find two NATO atomic bombs stolen by SPECTRE, Bond is given a crucial piece of equipment by Q: a Breitling Top Time that also functions as a Geiger counter. The early 1960s are famously remembered for the launch of the Heuer Carrera, but these golden years also saw the launch of a chronograph that has gone largely unnoticed in vintage watch collecting: the Breitling Top Time. The Ref. 810 Top Time was initially introduced as an entry-level offering among Breitling’s other chronograph models, namely the Cosmonaute and the Navitimer, in order to specifically target the brand’s younger (and presumably less well-heeled) following. The case was large for its time and was intended to make a bold statement when compared to the 36mm Carrera. Even for modern fashion sensibilities, this is a striking watch that wears large, thanks to its 21mm lug width and diameter of 38mm, later 38.5mm in the Mk. 2 models. The classic and pared-down appearance of the watch makes it incredibly versatile, equally suitable for formal events when worn on a brown alligator or calfskin strap and for the racetrack when paired with a black rally-style strap. Incredibly attractive Top Time models can be had for less than€2.500. Solid gold models and tri-compay panda / reverse panda dial variants will be at the upper end of the spectrum, but will still top out at around €5.000. For an in-depth look at the history of the Top-Time, check out our dedicated Top-Time article here. Here’s one you probably didn’t see coming! From one of the world’s truly vertically integrated manufactures, Seiko, I bring you a chronograph that does not receive enough recognition in the watch collector community, despite its historical significance. Vintage Seiko remains an incredibly attractive entry point into the world of vintage watches thanks to their lower price of entry in general, as these watches tend to be far cheaper than vintage Swiss watches. The “Pogue” series Ref. 6139 are undeniably incredible watches. Released in 1969 and featuring a 30-minute chronograph register, day and date display, 70m water resistance, and a column wheel movement with vertical clutch, the 6139 was miles ahead of comparable Swiss chronographs in terms of specifications and features. The Omega Speedmaster was the first watch to be worn on the moon, but what was the first automatic chronograph in space? 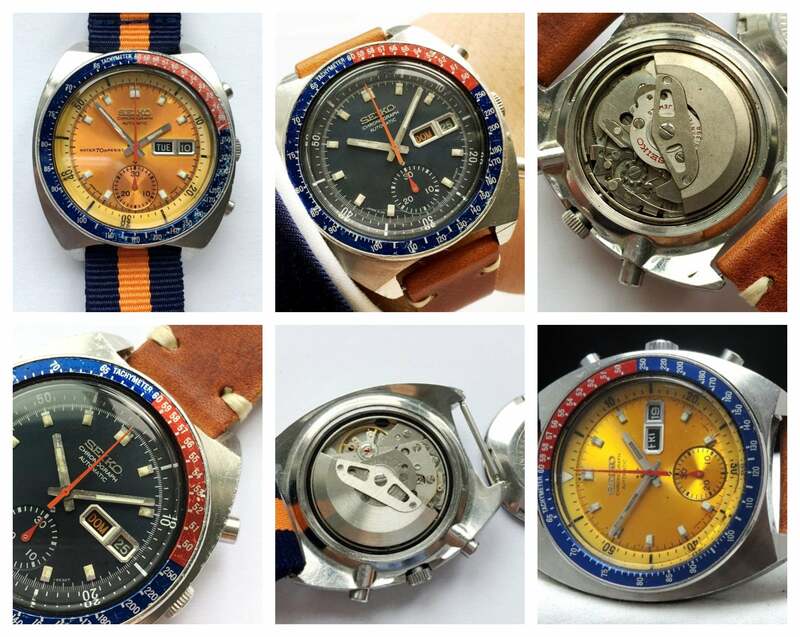 Until 2006, it was believed that the Sinn model 140 worn by Reinhard Furrer on the Spacelab D1 Mission hed title, until photos emerged online of a Seiko 6139 worn by Colonel William Reid Pogue during the Skylab 4 mission from November 16, 1973, to February 8, 1974. The watch was identified by enthusiast David Bruno, who confirmed that the watch in question was a yellow-dialed 6139 after extensive correspondence with Col. Pogue. The 6139 was not an official part of mission equipment but was snuck onto the mission by Pogue, who subsequently wore it for timing experiments and other mission-pertinent uses while in orbit. The year of its release, 1969, should ring a bell to those familiar with chronograph history. This was the year that the world saw the first (integrated) automatic chronographs. We still tend to believe that Heuer, in a collaborative effort with Breitling and Hamilton-Buren, was responsible for the world’s first automatic chronograph, the “Chronomatic”, which was introduced at a press event in March 1969. The mass production and release of the Chronomatic to international retail markets, began in June / July of 1969. The serial numbers of the earliest serial-production Seiko 6139 Speed Timers, however, indicate a production start in May 1969. In short, Seiko may have quietly, without any pomp or circumstance, beaten Heuer, Breitling, and Hamilton-Buren to the crown by releasing their efffort to the Japanese market 1-2 months in advance! Ref. 6139 examples can be found for around €1.500. The Speedmaster Mark II: alongside the more famous Speedmaster Professional of “Moonwatch” fame, the Mark II can be considered the unloved member of the Speedmaster family. After the race to the moon, Omega decided to redesign and modernize the Speedmaster look in keeping with the aesthetic cues of the age. Of course, the new Speedmaster would have to be just as tough as the Moonwatch and so the first Mark II references dating back to 1969 were outfitted with the cal. 861, the famed manual-wind successor to the legendary Omega cal. 321. The cal. 861 remained in production from 1968 through 1996, after which it was succeeded by the cal. 1861 movement. The Speedmaster Mark II had a barrel-shaped case in brushed stainless steel and beveled polished case edges, which contrast sharply from the asymmetrical case design of the Speedmaster Professional. The Mark II was also the first Speedmaster to not feature a domed Hesalite crystal, instead using flat mineral glass, on the underside of which the tachymeter is printed (instead of the external aluminum tachymeter bezel of the Moonwatch). The ref. 145.014 here is the first of 5 “Mark” variations of Speedmaster Professional variants and still retains much of the design language of the classic Moonwatch. Speedmaster Mark II trade under €2.000. Older →The 3-Watch Omega Starter Kit for under €5.000!